And now, he's stepped into it when he told a group of women in Virginia that he won a state senate seat 37 years ago at age 26 when, bless 'em, women left the kitchen to work for his campaign. Throughout his political life, Kasich has been a Zelig figure. You know, the Woody Allen fictional character who could evolve quickly from one identity to another as the situation required. He once was branded as a snappish, tough-talking being who showed no mercy to his rivals. That was the residue of his earliest political existence as an aide to Ohio State Sen. Donald "Buz" Lukens, who could always widen the the goal posts to please an audience. Lukens once explained to me that he could speak on liberal college campuses because "I know how to fuzz it up a little." Alas. Lukens, a handsome lady's magnet from southwest Ohio whose conservative style points eventually tumbled down in disgrace with his involvement with a woman too young to be involved. But as we see from his kitchen comment, John Kasich hasn't changed from his days in another era. He just heartily signed an anti-abortion bill passed by the legislative hoofbeaters in Columbus that defunds Planned parenthood. The talk, all along, was that PP was selling fetuses, as " exposed " by a discredited video that an official probe ended with indictments of the film's two producers; for Kasich and his cheering section, there will continue to be references to the PP's "scandal", ignoring the probe as non-productive to their fictions. 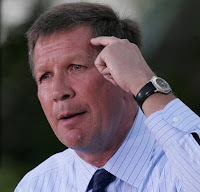 That parallels the fiction of John Kasich, if you want to take the time to review of how, for his sake, he briefly liberated women from their rightful place over the kitchen stove. The B 52 first came into service in the mid 1950's and continues to be a major system for the US Air Force. Kasich was barely in diapers when it became our main strategic bomber. The "imperial class" in Washington did in the late 1970's reject the XB-70. Maybe this is the correct reference. Abe Zaidan has been a professional journalist and freelance writer for more than forty years. 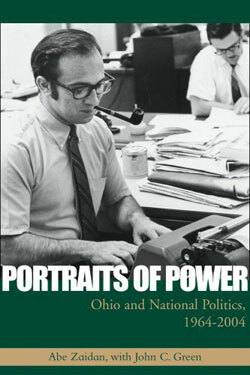 He was the Ohio correspondent for the Washington Post, as well as a political columnist at the Akron Beacon Journal. Will UA play its ITT card?